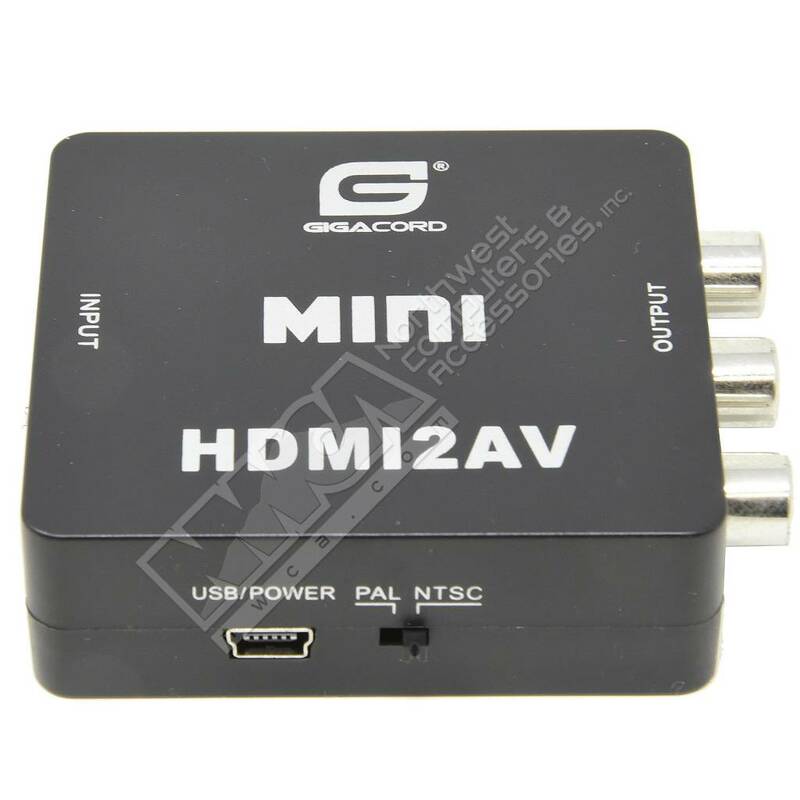 Gigacord 1080P HDMI to AV 3-RCA to Composite Video Audio Converter Adapter, Black - NWCA Inc.
Converts digital signals to composite analog signals and automatically adjust the resolution ratio to best fit the display. Plug and Play, no need to install drivers, portable, flexible. 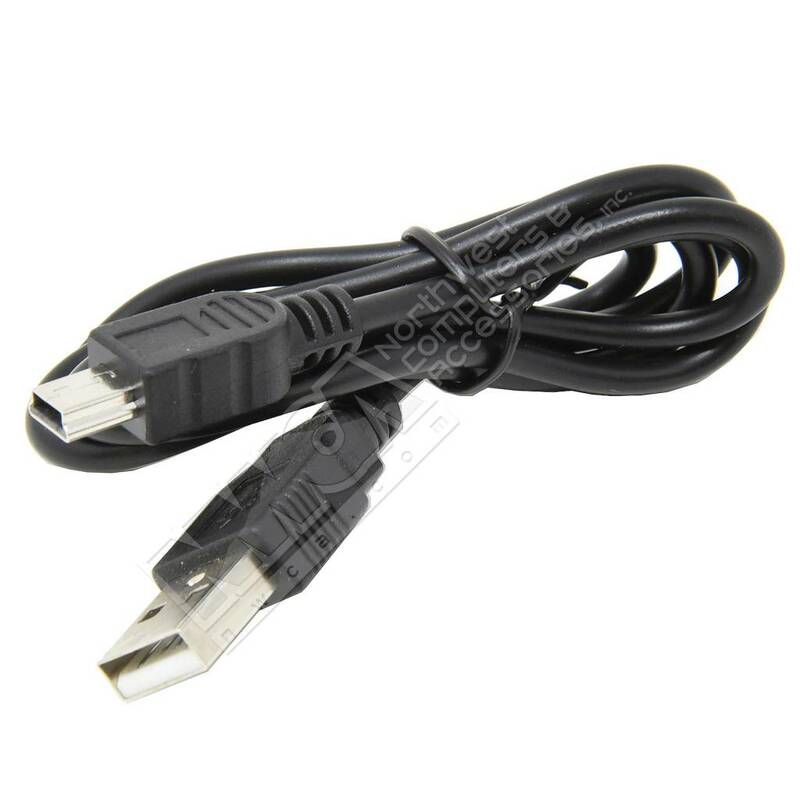 Supports NTSC and PAL two standard TV formats switch with a select switch. 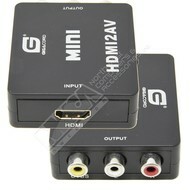 Mulitifunctional mini video converter box. 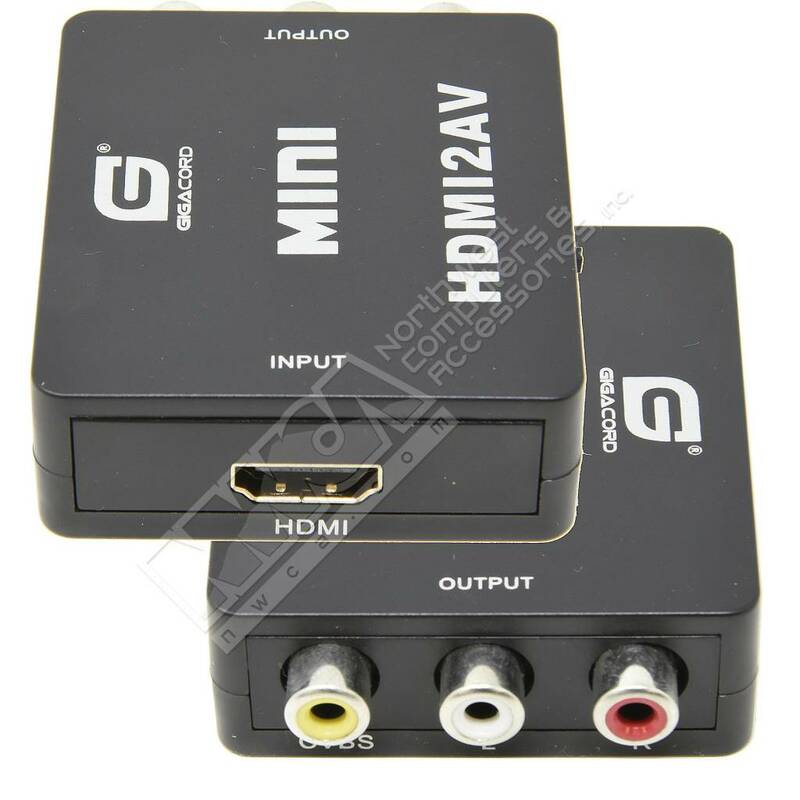 Compatible with HDMI1.4 , support upscaler 1080p, HDCP agreement, Ethernet, 3D, and Audio Return.